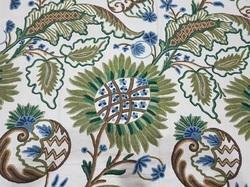 We are offering a wide array of Crewel Furnishing Fabric, which is a special kind of fabric provided with embroidery done with a hook, which is commonly used for drapery and upholstery. 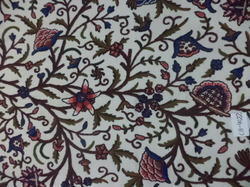 Crewel embroidery is done on thick material popularly used for furnishing. These are available in variety of innovative and impressive designs; and are mostly used to decorate the interiors of various residential and commercial establishments. 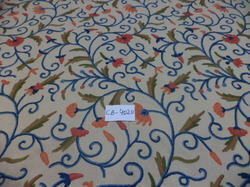 We are offering wide collection of Crewel Furnishings upholstery Fabrics that is woven using quality threads. These are designed in various patterns and are available in amazing color combinations and lustrous appearance. 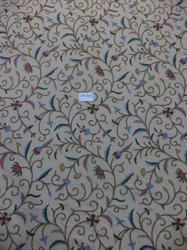 Our fabrics are known to impart subtle look to the dress material or the furnishing material. we offer you traditional Kashmiri All over floral designs like Danzdar,shalimar,Tharidar,Poshkar,chinar dar on Traditional Dusoti fabric which is made in Kashmir only.These Hand-embroidered fabrics are used in exclusive range of Curtians,table covers,table runners,cushion covers and Sofa covers. 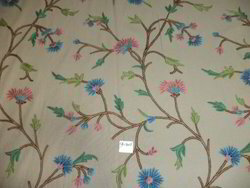 we also manufacture hand-embroidered crewel fabric in Cotton dak,Viscose-Velvet and on silk organza fabric in 44 inch width to 60 inch width. 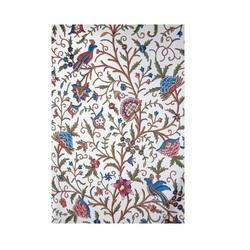 Home furnishing curtains with 2 ply pure wool hand-embroidered floral crewel fabric made in kashmir 100% pure cotton with 2 ply wool hand-embroidered floral crewel fabric which is made by best artisans of kashmir. Available in all floral designs and colors combinations. We also made it in velvet fabric as well as in silk organza fabric in all possible colors and designs. 100% pure cotton dak with 2 ply wool hand-embroidered floral crewel fabric which is made by best artisans of Kashmir.Available in all floral designs and colors combination. 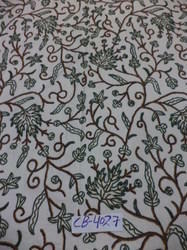 100% pure cotton with 2 ply wool hand-embroidered floral crewel fabric which is made by best artisans of kashmir. Available in all floral designs and colors combinations. 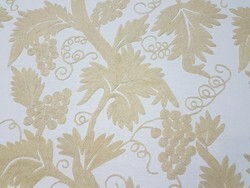 We also made it in velvet fabric as well as in silk organza fabric in all possible colors and designs.